A lifelong horse enthusiast from southern Chester County has been selected as one of a handful of Americans to ride in the 2014 Mongol Derby, a grueling, 1,000-kilometer (621 mile) trek across Mongolia. Bonnie Hutton, director of After The Races (ATR), a nonprofit she founded to rehabilitate and then find homes for unwanted retired racehorses, will ride a string of 25 semi-wild Mongolian horses over 10 days. Riders brave unpredictable weather and varied terrain including rivers, mountains, deserts, and plains. Temperatures can range from freezing at night to a blistering100ºF (38ºC) during the day, an ATR news release said. Participants are encouraged to ride for charity, and Hutton will be riding for ATR. She hopes to become the first American woman to win the Mongol Derby. Donations of needed equipment, pledges to After The Races and corporate sponsorships are currently being sought. The entrance fee for the race is $12,000. Hutton will be maintaining a blog on her training and participation in the Mongol Derby. To learn more about Hutton and her participation in the Mongol Derby, contact her at 79 Roberts Road, Nottingham, 19362, 919-741-9819, la.bonnita@gmail.com or info@aftertheraces.org. 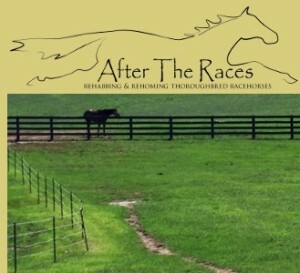 For more information on After the Races and its efforts to take in retiring thoroughbreds after they are finished racing at Philadelphia Park, visit http://aftertheraces.org/ or https://www.facebook.com/AfterTheRaces.